It's been two years since I completed the dietary test that is the Whole 30 Challenge. And while I learned a lot from the experience and have toyed with the idea of attempting it again, most of the good habits and recipes I picked up have since fallen by the wayside. There is one recipe, however, that I have made over and over again. Not necessarily in an attempt to be healthy, but because it's delicious and happens to also be healthy! And that is chia seed pudding. I have made several varieties of chia seed pudding over the past two years. 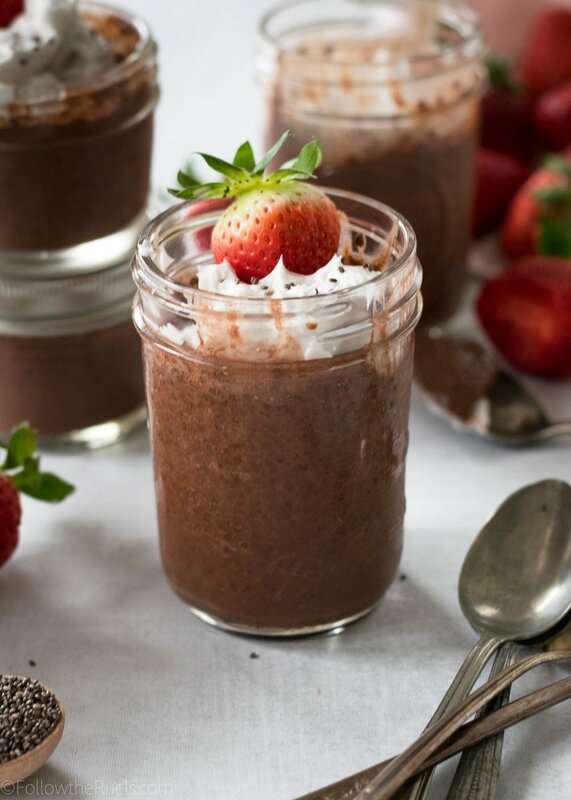 One that I have perfected and turn to over and over again is chocolate chia seed pudding. This is hands down my favorite version because it absolutely tastes just like chocolate pudding. Except there is sugar, no dairy, and is chock-full of the superfood that is the chia seed! How to Make It And did I mention its SUPER easy to make? Maybe easier than real chocolate pudding? Well, it is! For this recipe, you will need some: milk (whatever type of milk you prefer - almond, cashew, cow, etc. ); unsweetened cocoa powder; salt, which will actually bring out the sweetness; sweetener, such as honey, agave, maple syrup, sugar, or sugar substitute; and chia seeds (obviously) I also like to add a bit of coffee extract to my chocolate chia seed pudding because it really emphasizes the chocolate flavor. This is totally optional since I know not everyone has coffee extract on hand. But you could also add a couple drops of your morning espresso. First, mix together the milk, cocoa, salt, and sweetener until mixture is nice and smooth. Then, add all the chia seeds and mix them in until completely incorporated. Just make sure that they don't fall all the way down to the bottom, as they will want to do. Next, pour the mixture into individual jars. Or don't. You can portion this out however you would like. Then, pop the pudding into the fridge and wait. Waiting is always the hardest part. After a few hours (or ideally overnight) you will have a delicious chocolate chia seed pudding! Now, for those of you who have not had chia seeds before or have not had chia seed pudding, I will warn you. The texture is a bit different. It's actually a little bit like tapioca pudding or cottage cheese. I don't mind it in the least and I am pretty sensitive to weird textures. But it may take some getting used to for the chia seed virgins. The sooner you do, the sooner you will have a wonderfully rich, healthy, chocolate dessert. In a small bowl, whisk together the almond milk, cocoa, maple syrup, and salt until smooth and free of clumps of cocoa. Stir in the chia seeds. Pour the pudding into 4 small individual jars and place the jars int he refrigerator for at least 4 hours, or overnight.